On this special two-day tour, you’ll cover both the highlights of Cairo plus the stunning landscapes of El Fayoum, one of Egypt’s most photogenic desert oases. 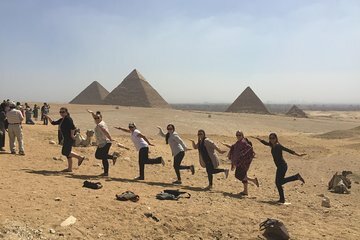 First, explore the Giza Pyramids, Sphinx, and the Egyptian Museum with your own Egyptologist guide. Then, head by air-conditioned vehicle to visit a fossil-strewn ancient valley, Egypt’s largest waterfalls, and the millennia-old pharaonic city of Medinet Madi.